This ground breaking research explores language maintenance and shift focusing on a school community. Following students’ language practice inside and outside of school, the author offers a full picture of students’ multilingual practices and their role in shaping identity. Using case studies of eight girls from Vietnamese and Cambodian backgrounds, the book draws on data from questionnaires, interviews and ethnographic observation to bring these language practices to life. It explores the place of heritage languages, English and other languages in the girls’ repertoires and investigates the role they see for these languages in their lives. A key focus of the book is the role of the school environment in shaping students’ repertoires and unfolding sense of ethnic identity; both directly through formal instruction and indirectly through its ethos and social composition. It provides practical suggestions on the basis of extensive research for how schools can negotiate some of the challenges of catering to a multiethnic population. Essential reading for anyone researching migrant language practice, sociolinguistics or multicultural education. 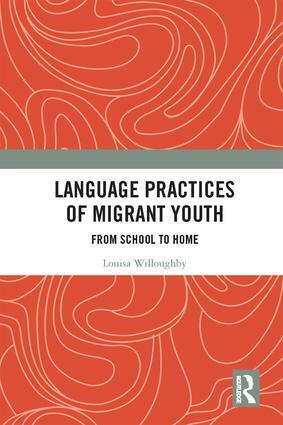 Louisa Willoughby is a Senior Lecturer in Linguistics at Monash University. Her work focuses on the intersecting areas of language and identity, language policy and service provision for speakers of minority languages, particularly in health and education settings.